It's exciting! The all-new E_TYPE is sailing through which windsurfing causes such fascination. Fully trimmed, start and move planing without pumping. 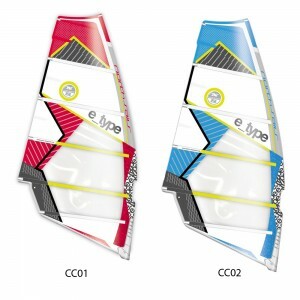 As a result, acceleration power to and output from a jibe WARP, combined with the maneuverability of a crossover sail. Windsurfing was rarely as fun and exciting at the same time! 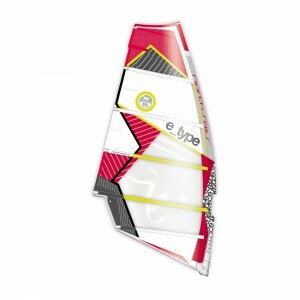 The E_TYPE, extremely versatile, united the benefits in terms of driving and tensioning of Nocam sailing performance optimization and maximum speed very bubbly. Thus, high thrust and speed AND particular lightness for maneuvers in peace. This is partly due to the behavior Aspect-Ratio reduced by the WARP F2013 and the important profiling of the upper luff tape. But the new E-TYPE fascinates not only by its leading performance but also during acceleration and planing. Additional profile to the next level of the luff and TT.TOP II with active twist are partly the cause. With CTAWAY.CLEW, additional long boom is useless! The hollow placed far forward facilitates the conduct and management of the rig and participates decisively to an extraordinarily high stability of this hollow Nocam veil. As the slats extremely rigid tube (four 6.2 and larger). those up to 7.3 with 6 battens and those above 7.8 with 7 slats.